It’s an exciting time to be an Auburn baseball fan. Looking back on last season (which was disappointing), one of the positives was just how much Auburn had to look forward to next season. You’d get a fresh recruiting class of players Coach John Palowski (CJP) would hand pick and a full year in his system. You wouldn’t get bit by the draft (thanks to rules about players eligibility) and you’d return a core from one of the best offenses (in both the SEC and the Country). The Tigers came so close last year in CJP’s first season, this year the sky is the limit. The losses of Ben Jones and Joseph Sanders will hurt. 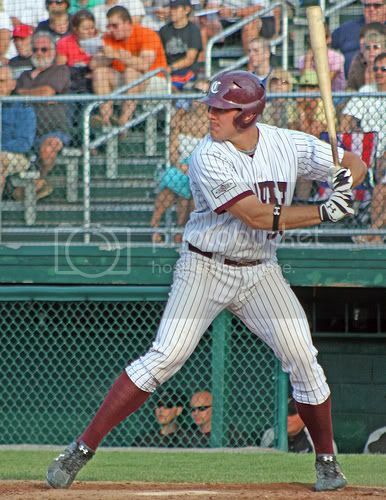 Especially Sanders who led the Tigers in HRs, Doubles, RBIs, Slugging % and Batting Average last year. However, we return our biggest offensive weapons and keep the core of our infield together (1B,2B,SS) which should help limit errors as that group continues to gel together. This is really all or nothing for the Tigers in 2010. Next year we will (more than likely) lose Kevin Patterson, Trent Mummey, & Hunter Morris to the MLB draft, and could also lose Brian Fletcher and Justin Hargett to the draft as well. 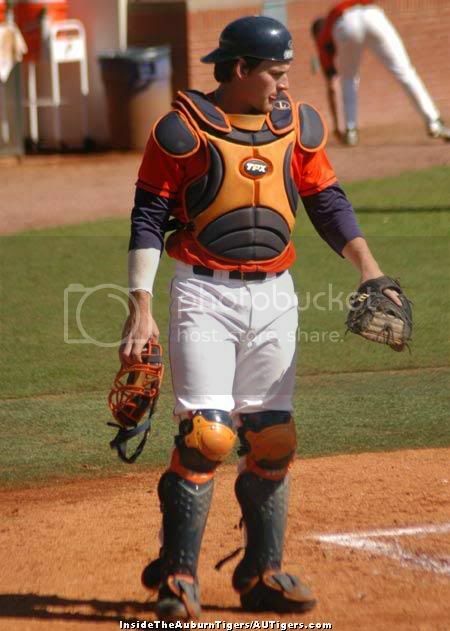 Factor in Senior Catcher Ryan Jenkins, and that’s 2/3rds of our offense that is probably playing their final season as an Auburn Tiger. It’s a scary thought for 2011, but for now the maturity of having a stocked and experience lineup, a full season under CJP, has me thinking that this is the year that the curse is broken. Baseball Beginnings: How did you feel about your 2009 college season? Morris: I struggled with some injuries and it felt like one thing after another. I hurt my back, which bothered me for at least a month. I tried to play through it and missed some games here and there, but it really just came at a bad time. I hurt it like the second week of the season. I had torn some cartilage in my wrist during the fall and didn’t get any swings. Now I feel great. I feel like I’m at 100 percent. I feel like if some things go my way, that 2010 can be a very good year for me. As long as I can stay healthy, I can do some good things. For now, Morris seems 100% healthy and ready to compete. His summer was nothing but productive, even participating in the Cape Cod Homerun Derby at Fenway Park (another video is here). He’ll go into the season with some early publicity, being named #37 in College Baseball Blog’s Top 100.
fitting actually. Patterson (photo left via) and Morris are Auburn biggest MLB prospects and are almost identical in talent (KP has the advantage in power, HM the advantage in the field). Auburn needs both of these guys to have breakout seasons. They’ll give the Tigers a huge power boost and being able to slide them up and down in the order will enable CJP to create matchups day in and day out. More than that though, they both need each other. KP and HM aren’t everyday guys but are interchangeable. KP will spend the majority of time at DH, but when HM needs a break, KP can slide into the 1B role. Then, depending on his health, HM can play DH for a day. The biggest thing is the leadership role for both HM and KP. Patterson is known as one of the most professional players in college baseball. Not necessarily professional in ability, but professional in attitude. Two years ago he received the Silva Sportsmanship Award from the Cap Cod League. A special honor given to the player who demonstrates the most sportsmanlike behavior throughout the season. Normally, it goes to a catcher, so for a Utility infielder to win it like KP did, is saying something. Morris is also a vocal leader on the field. On the flip side, Morris is the most decorated player on the roster, the guy with the biggest MLB future, and for now, is the face of Auburn baseball. On a side note, it’s almost impossible to do a Google search for Ryan Jenkins. The majority of the results are for the former reality TV star who (allegedly) killed his Reality star GF. The Tigers only lost 2 players from the field last year, leaving 2 positions up for grabs (3B/RF). The 3B battle is between Wes Gilmer, Dan Gamache, and Crede Simpson. I don’t think the 3B battle is that wide open. It will probably go to Gilmer. Gilmer made more starts than Gamache at 3B last year, is a year older, and can bring a switch hit ability to the lineup. Plus, 3B isn’t Gamache’s natural position (it’s 2B/SS). Personally, I’d like to see Gamache in that role. Gamache is talented, super talented really. 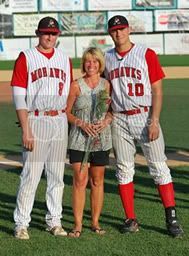 He had a solid summer with the Amsterdam Mohawks and just seems like a kid who is talented to keep off the field. He actually spent the summer with a guy who could be one of the surprise starts for Auburn this year, OF Justin Fradajas (Gamache is on the left). "Auburn's in the SEC and they have a great program and they have a new coaching staff and have a history of winning," Fradejas said. "So who wouldn't want to play for that?" Fradejas hit .323 with 14 doubles, three triples eight home runs and 48 RBI as a sophomore at NWFSC, earning All-Panhandle Conference honors at the conclusion of the season. His freshman season he hit .348 with seven doubles, a triple and 16 RBI. During his two seasons combined, he stole 38 stolen bases for Doug Martin's club. The Tigers will open up the season on February 19th against SouthEast Missouri (SEMO) at 3:00pm. Coming up next, a look at the schedule and the pitching matchups going into the 2010 season. You can follow AUPPL on Twiiter. I’d recommend it. Great baseball review, I cannot wait for the season to begin!